Got toddlers, pre-schoolers or primary aged kids in the house? Here’s our pick of some fabulous toys that promote open-ended play. Develop curiosity, creativity and problem-solving. Have an endless array of possibilities that can be extended as your child grows. Are hands on which build motor skills and stimulate the senses with textures, sounds and colours. So, here’s some ideas to check out if you haven’t already got them in your toy family. 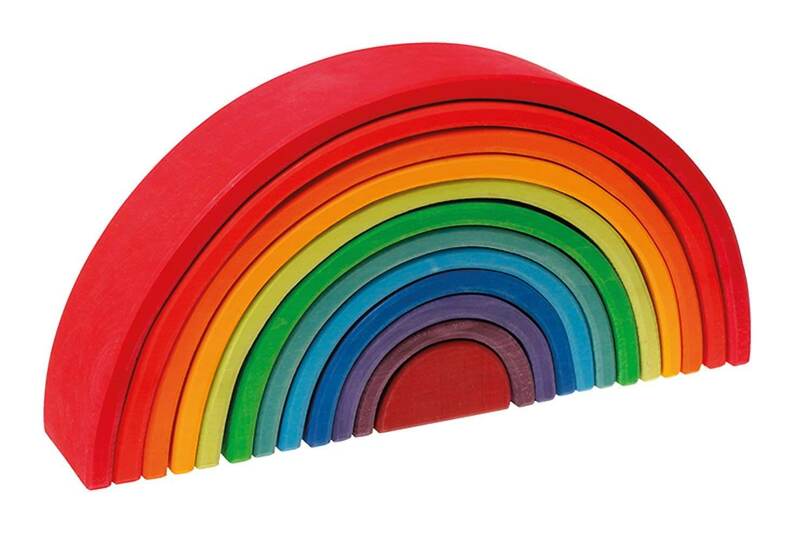 These are 3-D building tiles that stick together with magnets and can have hundreds of possibilities for play. This brand isn’t cheap but there are other brands out there on the market that do the same sort of thing and cost less. Your toddler may just like picking them up and moving them from one place to another or your pre-schooler can start to explore shapes or colours. 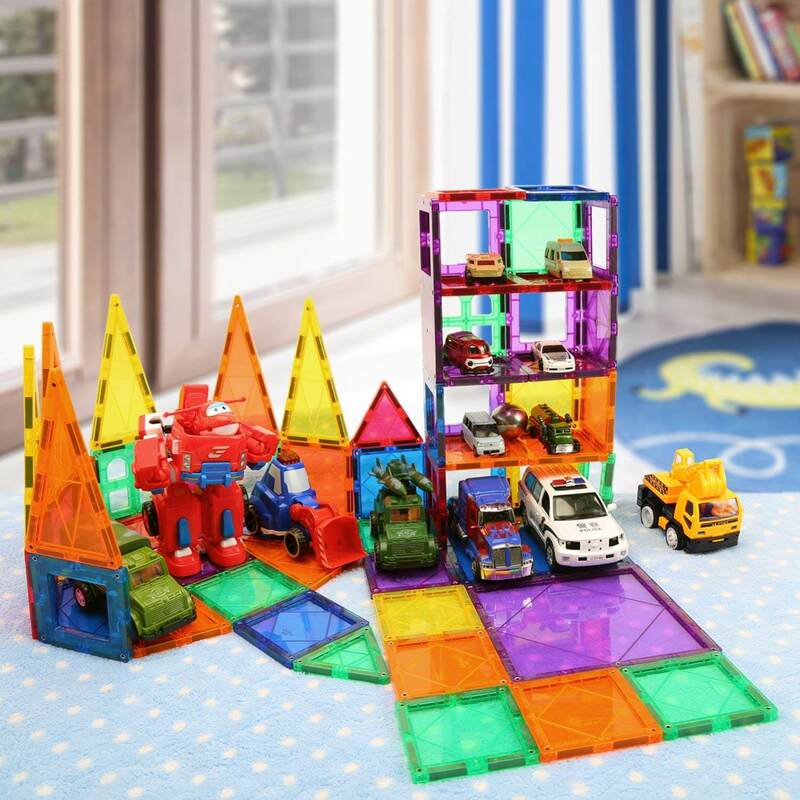 Your primary aged kids might get more creative and build 3D structures like castles or garages for their vehicles. We used to get this again and again from the Toy Library, our youngest son just loved it. This beautiful wooden ramp is fabulous at developing hand eye coordination and investigating all things that roll. The sound it makes isn’t going to ruin the ear drums either! 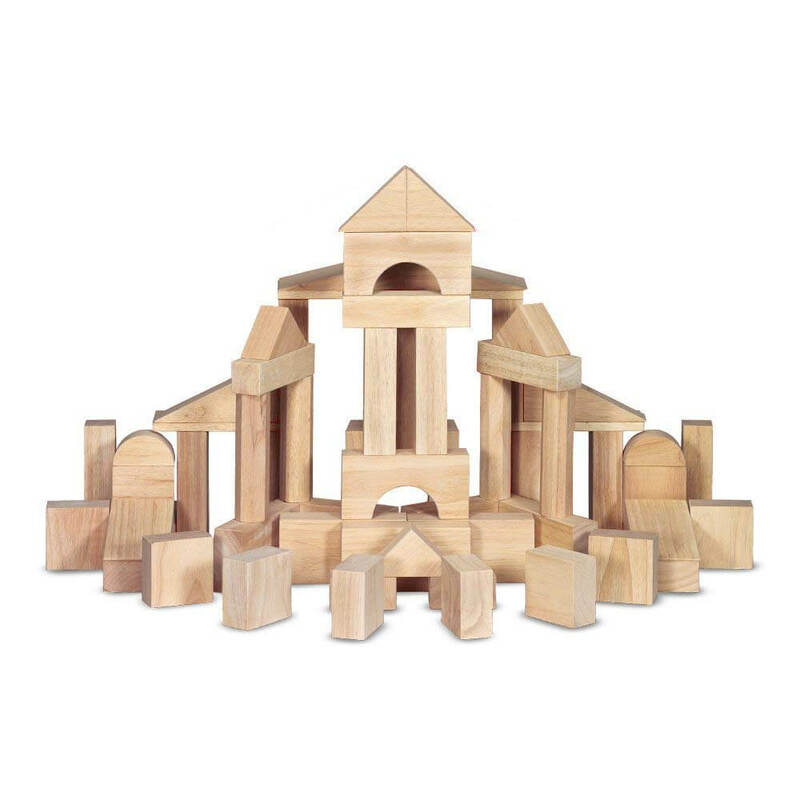 Wooden building blocks are a staple toy in any collection. They develop hand eye coordination, spatial awareness and boost creativity not to mention Maths skills. For toddlers, a simple stacking activity is brilliant to build their fine motor skills or to introduce different shapes. 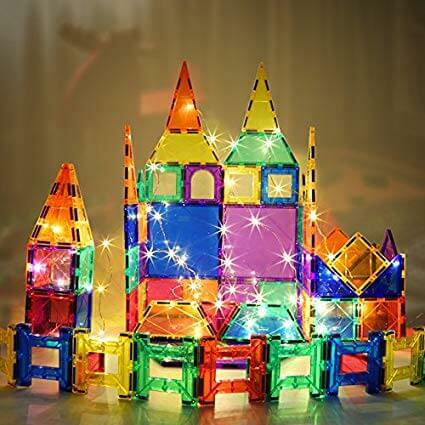 For older children, more complex structures can be created or Maths concepts such 3D shapes, sides, perimeter, area, angles and fractions can be re-inforced. 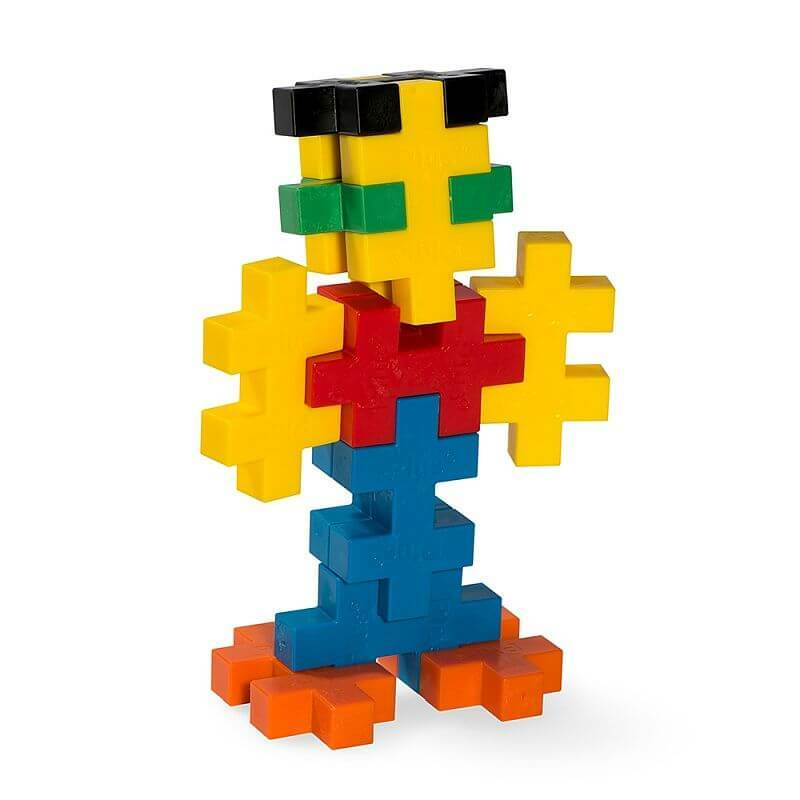 This is just a beautiful work of art as well as a wooden toy, one to have out on display as well as for play! 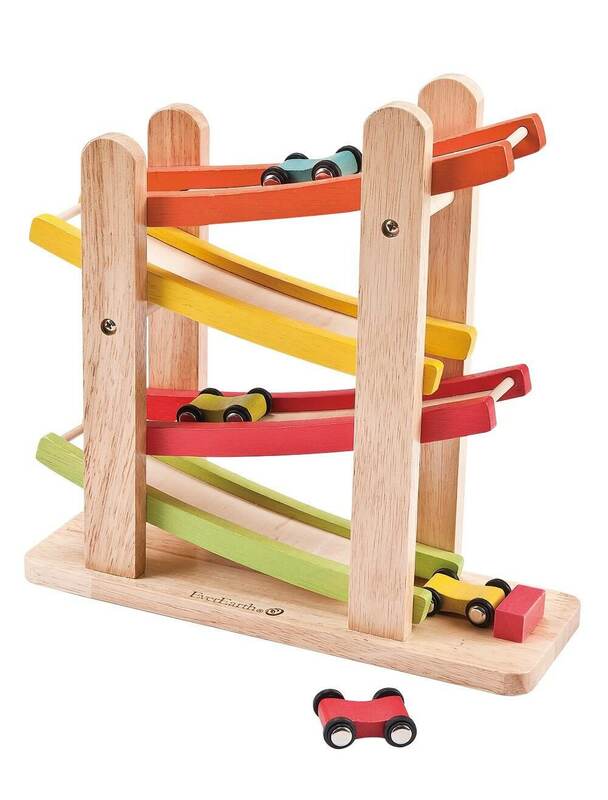 It’s a stacker, helping to develop hand eye coordination and fine motor skills. Or construction peices to be used to create bridges, tunnels, fencing or abstract art. Endless possibilities with this one and you will never want to part with it. Trust me! These 6 large stepping stones are incredibly versatile. 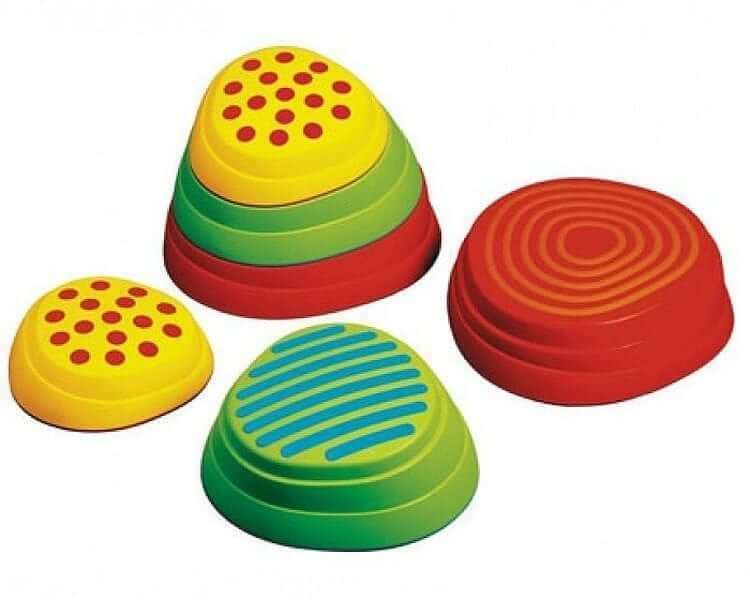 Your toddler might just enjoy trying to stand on one stone and practicing simple balance as well as stimulating the foot with the tactile surface patterns. Pre-schoolers and primary school children can create their own pathways with bigger and bigger gaps to develop balance, motor planning and coordination. Or stack them on each other to create different height blocks. Or use them in more complex obstacle courses with other components either indoors or outdoors. They can be turned upside down too and make brilliant little imaginary boats. While we’re on the topic of balance, which is a key skill in nearly all areas of your child’s development, you really can’t go wrong with a balance bike. These bikes allow your child to build grip strength, large muscle strength and practice balancing from a very early age. Not to mention the fabulous coordination of alternate sides of the body which boosts brain connections. With one simple shape in a variety of colours, the possibilities for creation are endless from 2D flatties to 3D curved structures. Do remember to get the BIG size peices though as the SMALL size are just too small for toddlers to handle and you want to get a toy that will span a wide age range. It also comes with an Ideas Booklet to start the imagination firing! We were given some hand me down Bloks from a friend and they got plenty of action in our household. 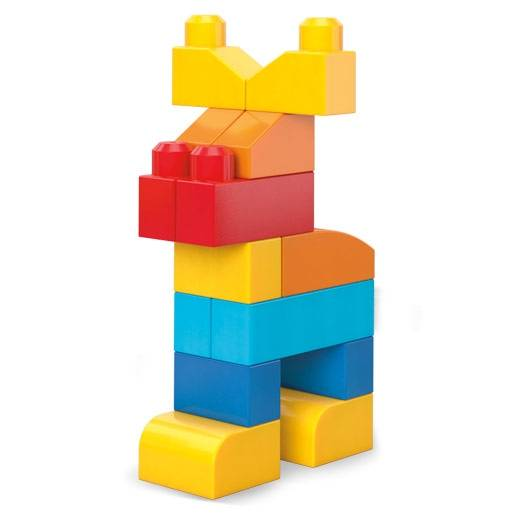 So many possibilities and a great size blok that fits all ages. Ok, so these ones are plastic but that means they can be a great outdoor toy, hang out in the messy play area, or around bath time too! Hope that’s helped give you a few ideas for the Christmas list this year. The toy shop that all about fun and engaging toys that develop gross motor skills in the early years.